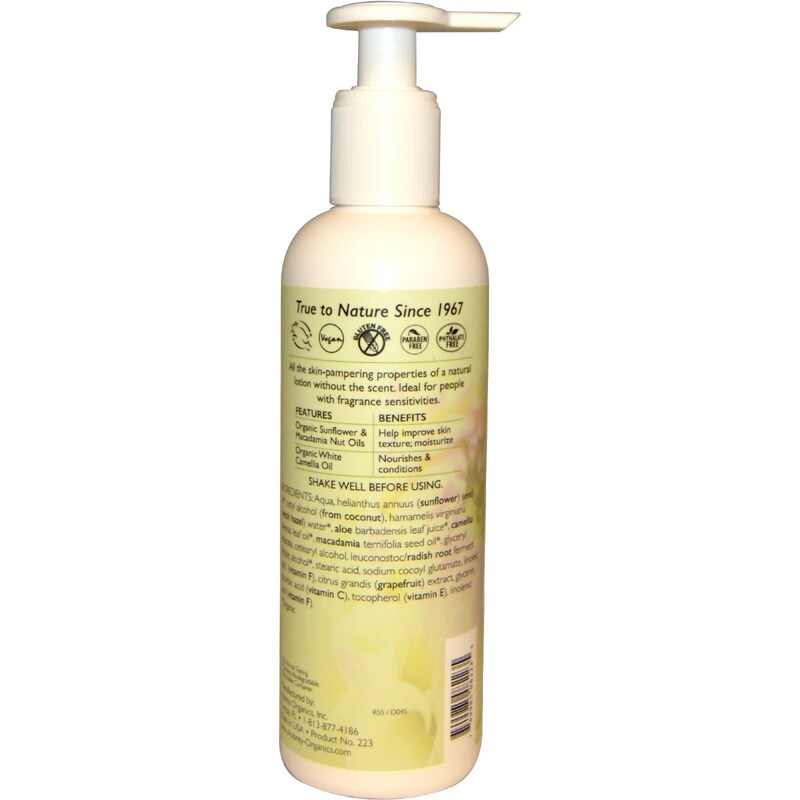 All the skin-pampering properties of a natural lotion without the scent. Ideal for people with fragrance sensitivities. Aqua, helianthus annuus (sunflower) seed oil*, cetyl alcohol (from coconut), hamamelis virginiana (witch hazel) water*, aloe barbadensis leaf juice*, camellia sinensis leaf oil*, macadamia ternifolia seed oil*, glyceryl stearate, cetearyl alcohol, leuconostoc/radish root ferment filtrate, alcohol*, stearic acid, sodium cocoyl/glutamate, linoleic acid (vitamin F), citrus grandis (grapefruit) extract, glycerin, ascorbic acid (vitamin C), tocopherol (vitamin E), linolenic acid (vitamin F).